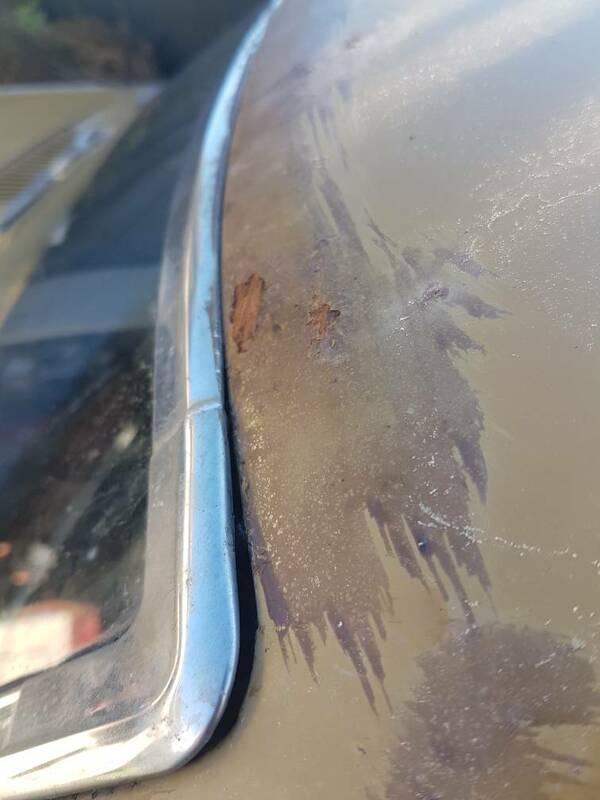 Not much has happened since my last post, well until today... At Damon's workshop open day yesterday I noticed the rust on the roof by the front screen was getting worse and the corner trim piece starting to lift a bit. In the winter sunshine today, I removed the roof racks and fitted them to the new project (will have to update you all soon). I started to pick at the trim surrounding the screen and before long I'd had most of it off and the screen out intact!! I left the bottom piece of trim on and managed to get it off once the screen was out. Now it wasn't my intention to get the screen out but I forgot these aren't glued in like my old Laurel screen was. 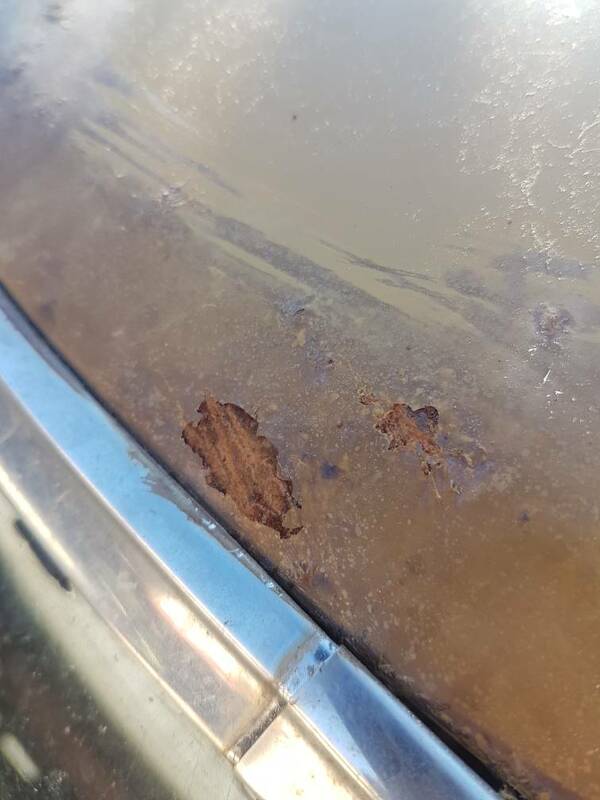 Anyway I was expecting to see some nasty rust underneath but wad pleasantly surprised! After I picked and scraped the old silicone off and removed the rubber seal it's very clean! Only a few wee spots but nothing major. 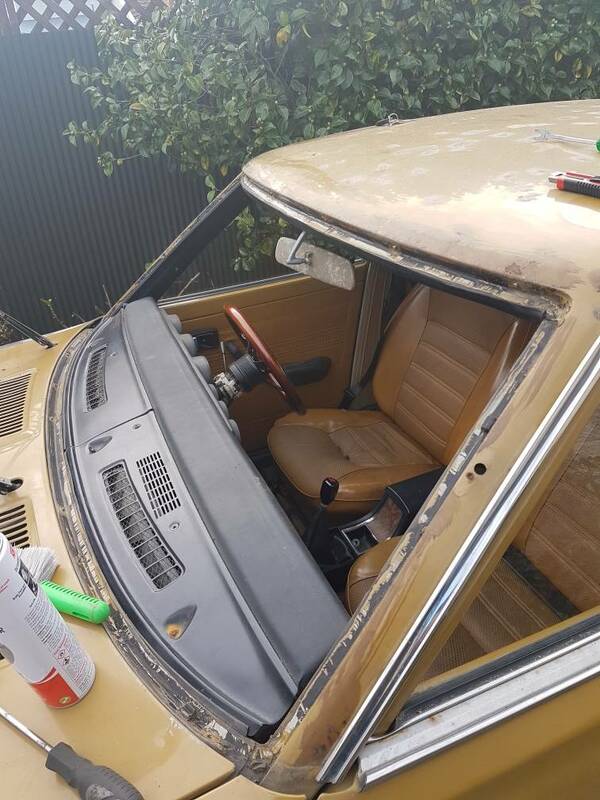 Will need to track down a replacement seal (probably should've done that first) and have thought maybe I'll do the rear screen too and maybe paint the roof... where do I stop though? I like the ratty look but don't want it to waste away. 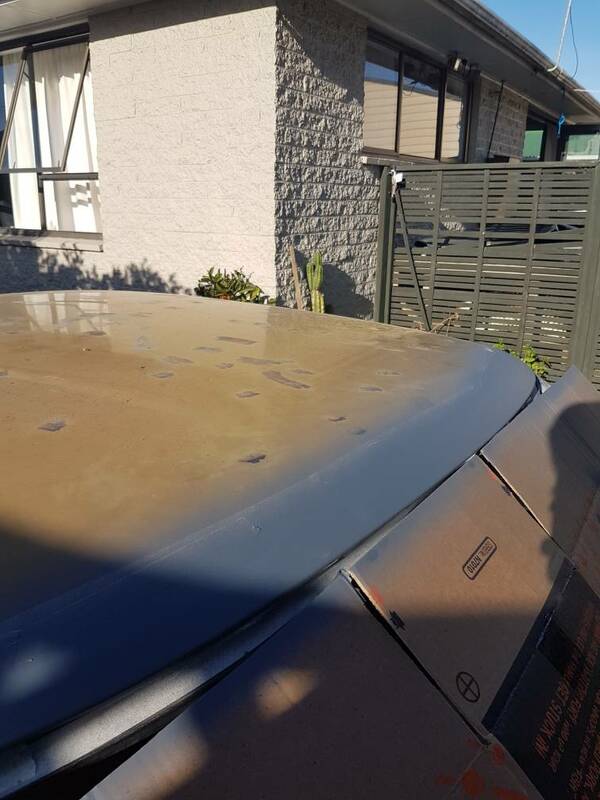 The worst of the rust seems to be in the roof surface rust mind you. My plan is to get the screen sorted soon so it's not off the road long but we'll see... I have another screen that I may use as my current one is pretty scratched up. 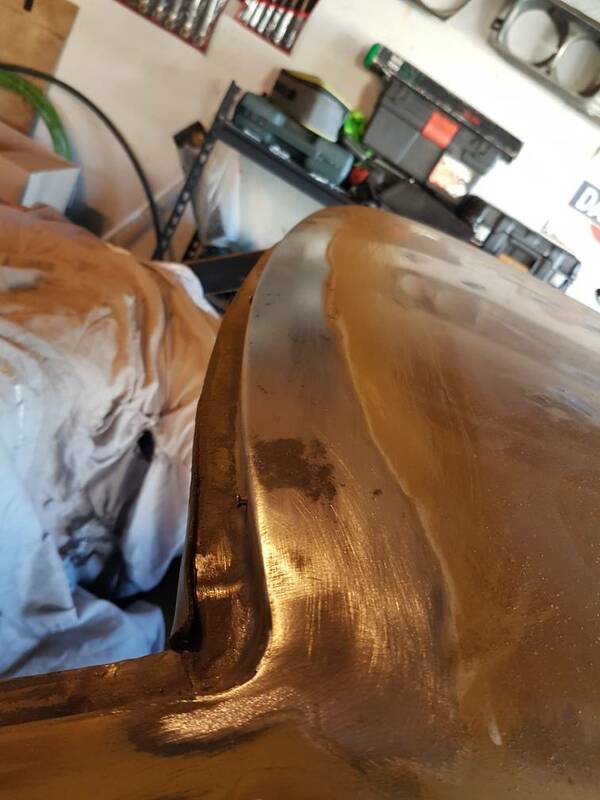 Sanded back a section of roof by the front screen to bare metal. Just need to get some primer on there. Took what I thought was the screen rubber into work and a windscreen fella came in and said it's just old urethane haha. So will make it going back in much easier!! 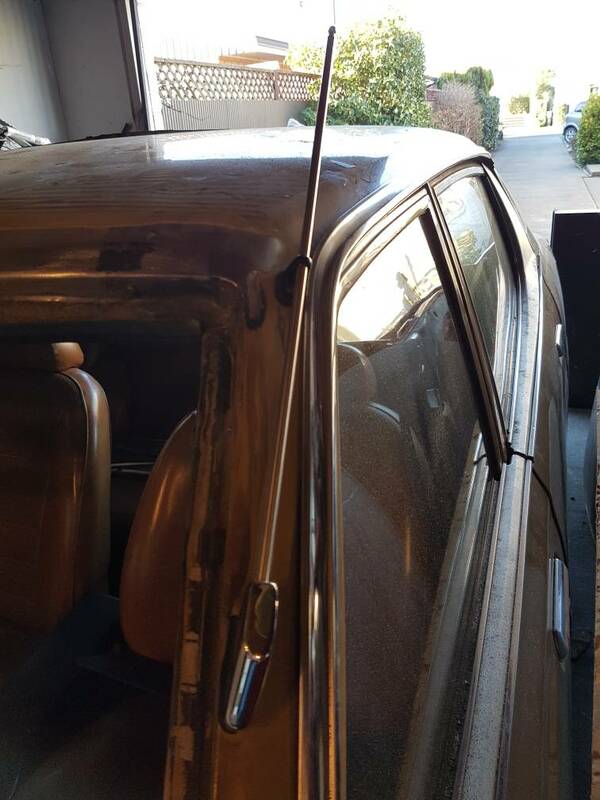 Also got a new aerial as I broke a piece on the old one taking the 120Y doors off the roof rack on me own.. wanted it to be all black but could only get a chrome one. Oh well not the end of the world. Discovered the mounting holes for the 2 parts aren't lined up very well... debating filling in the existing hole and drilling a new one so it's not on the piss..
i vote new hole drilled, my 1200 coupe 1 is centre of a pillar instead of offset like your pic shows, and a much better look in my opinion. 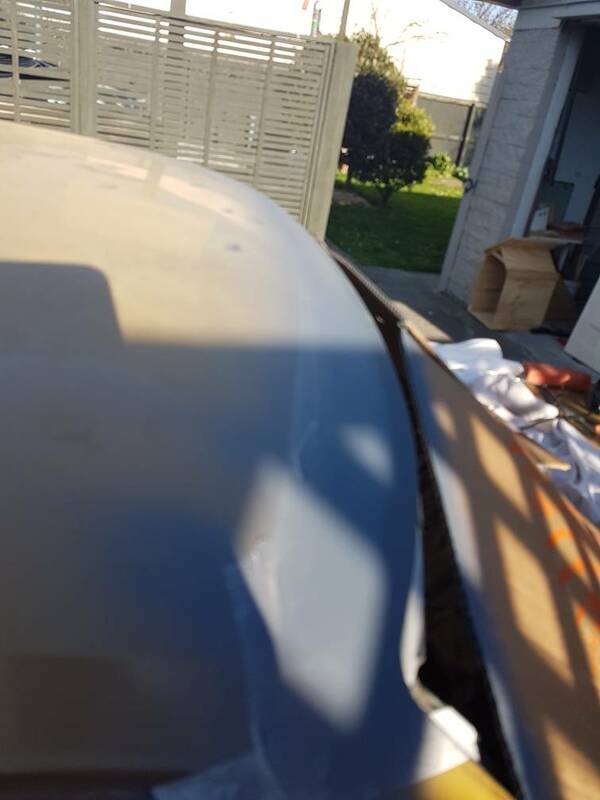 Made use of the winter sun today and got some primer on where I had bare metalled. 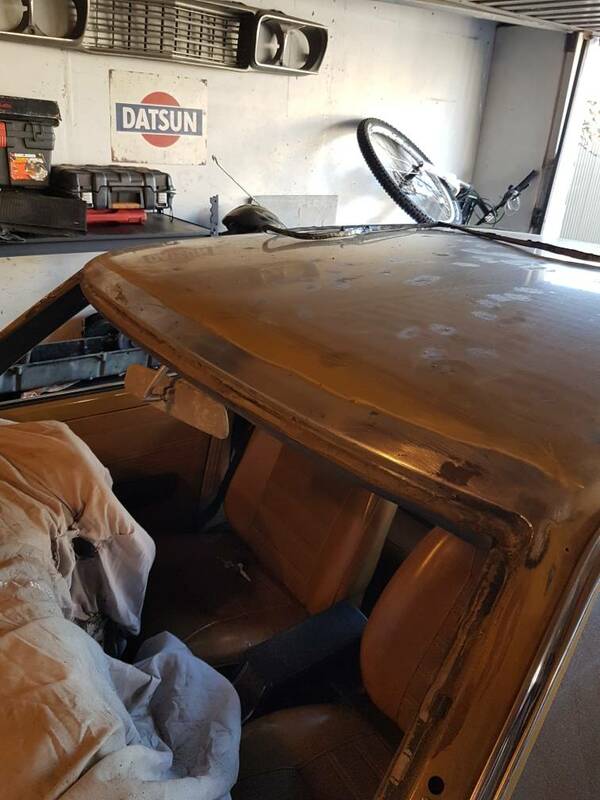 I'm going to get my spare front screen down from the roof of the garage and see if it's in better condition than the one I removed. I'm really hoping so as the old one is covered in scratches. 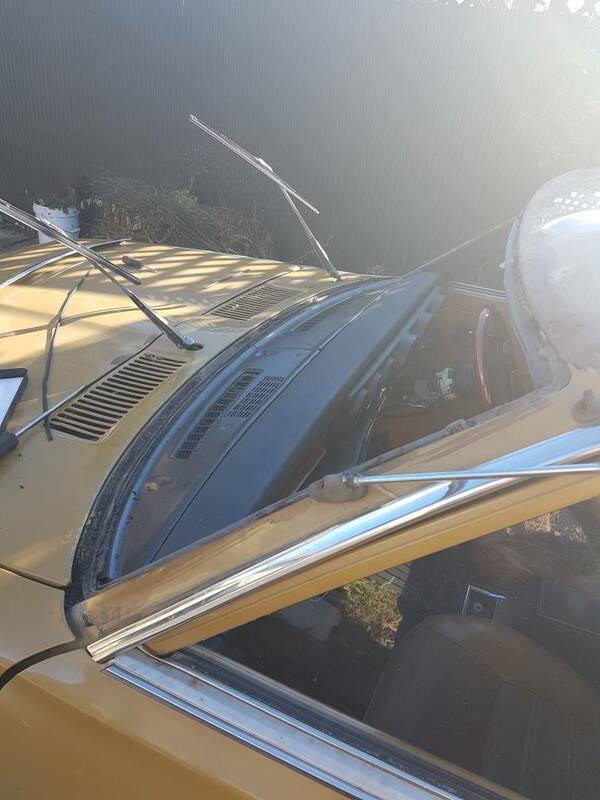 Will contact the windscreen crowd I'm using when I've sorted what screen I'm using and tidy up the trim from when I removed it.